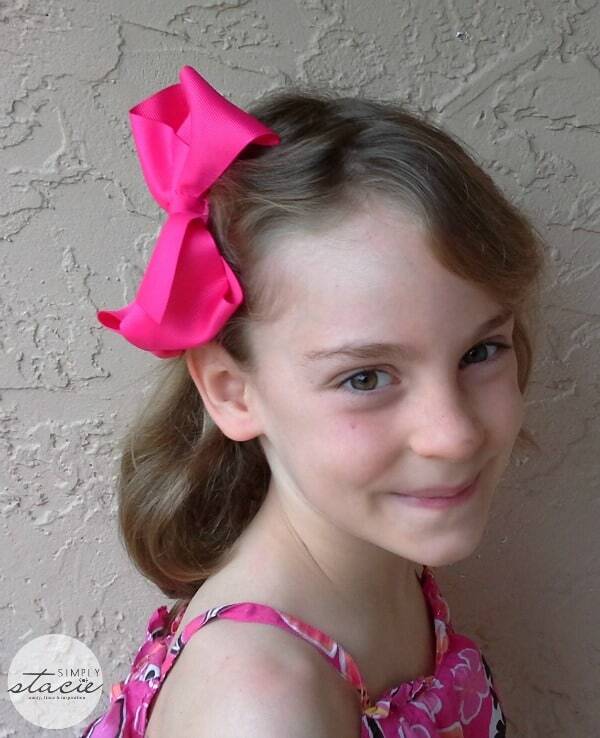 My seven year old daughter, Hannah loves to wear fun and fashionable hair accessories. I always want to make sure that she is wearing age appropriate accessories without cramping her personal style. Queen Bee Barrette has a wide selection of beautiful children’s hair accessories that are perfect for young girls and tweens. Using the highest quality materials for a superior girls’ hair accessory that is designed to last, Queen Bee Barrette has the cutest hair clips, bows, clippies, headbands, barrettes, hair ties and special occasion hair accessories to choose from in a range of pretty colors, fabrics and fun patterns. Hannah found so many great new hair accessories at Queen Bee Barrette so she is able to accessorize all of her favorite outfits with the perfect styles. 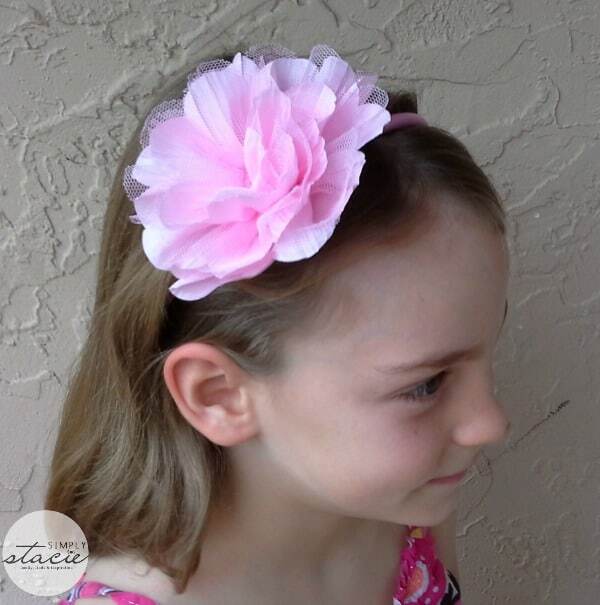 She really loves the Fabric Flower Headband ($11.99) in pink which features a handmade cotton and tulle fluffy flower and satin headband. She especially likes that this headband is very lightweight so it is comfortable enough to wear all day and it didn’t slip at all on her head which is a big plus since she has fine hair. 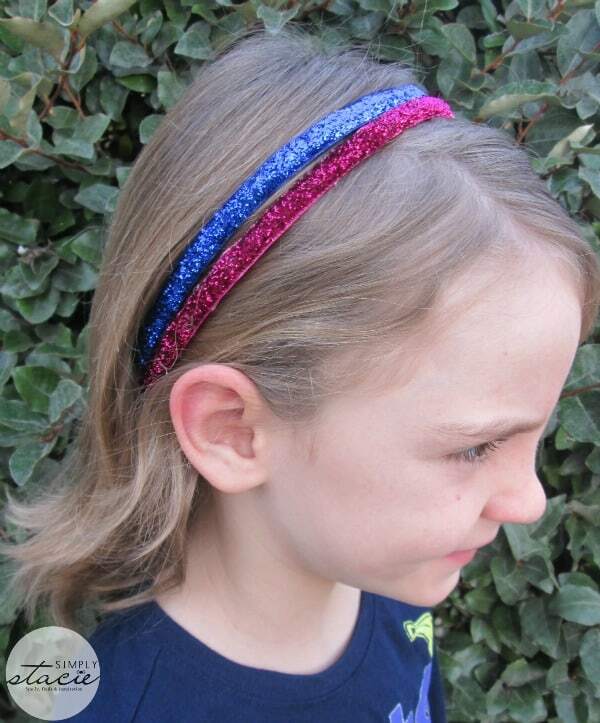 Another favorite way to express herself is by layering the Pink, Blue & Purple Glitter Headband Set ($9.99 for all three headbands). This hand created set is such an excellent value because it has a gorgeous sparkle to liven up any young girl’s outfit and is crafted very well. Since she is trying to grow out her hair, Hannah often gets frustrated by the little pieces of hair that falls into her eyes. She likes to keep those pieces of hair pulled back with pretty clippies or barrettes and really loves the ones in her collection from Queen Bee Barrette. For example, the Flower Crochet Hair Clips ($7.50) are available in a wide variety of color combinations and is the perfect size for girls without being too small or overwhelming large. 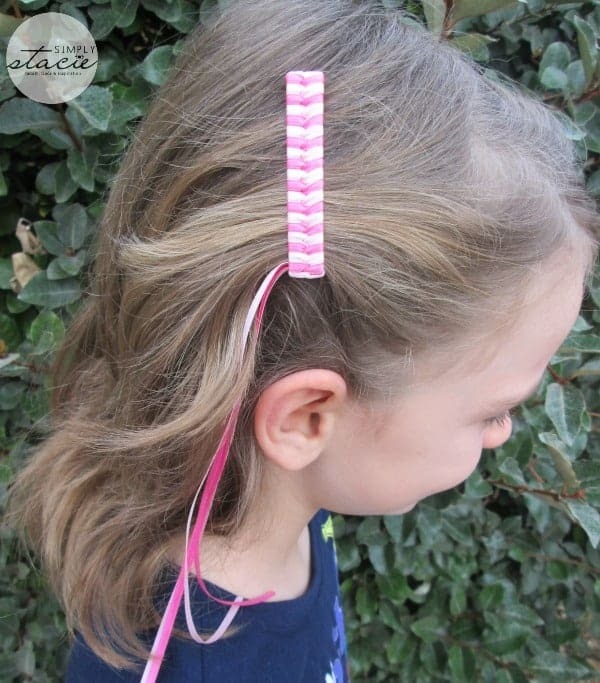 She loves how the clip itself really stays in place without slipping so when wearing these pieces from Queen Bee Barrette she doesn’t have to worry about it falling out even when dancing, playing, riding her bike etc. The Fabric Covered Button Ponytails ($9.99 for a set of 3) are another great option for outdoor play, sports or for those cute little pigtails or ponytails. Hannah also loves the multi colored flower headband which is so pretty and has declared these her “favorite accessories”. What impresses me the most about Queen Bee Barrette is that these children’s hair accessories are hand crafted with the high quality materials and yet are still attractively priced so it won’t break the budget to stock up on lots of fun new accessories for winter and spring. You are invited to visit Queen Bee Barrette to browse the entire selection…..which hair accessories are your favorite? I like the fabric flower hair clips. 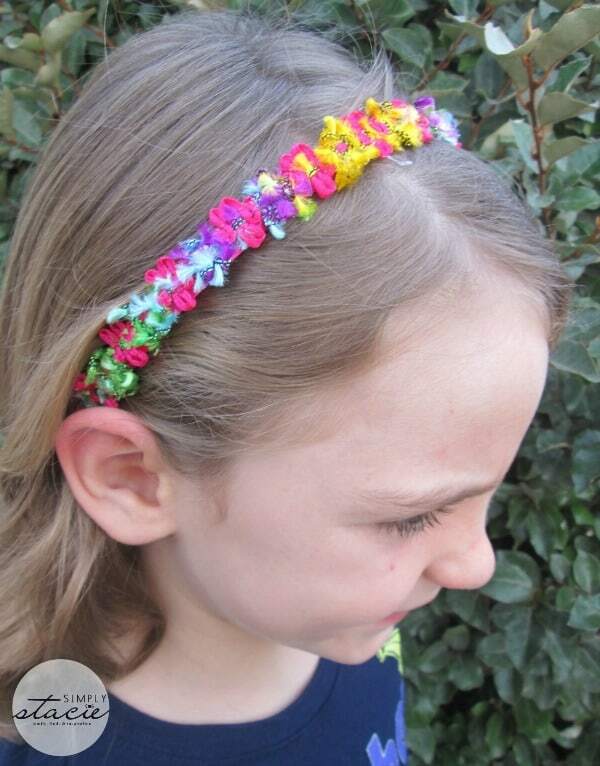 I like the rainbow chevron bow and the simple solid color elastic headbands.. I like the Elastic Headband Set of Three – Red, Pink & White, so cute! :o) everything is so adorable!! I love the Fabric Flower Headbands, especially in lavender and ivory. Pinwheel Hair Bow – Red Nautical. Treat three set of clips! I like the Fabric Headband – Cupcakes & Hearts. I like the Fabric Flower Hair Clip in hot Pink. I like the Fabric Headband. The Queen Bee 3 layer crocheted hair clips are awesome. I want to get one, some for my niece, my twenty-something niece that I’ve called Queenie, since she was about 18 months old! Crochet Flower Hair Clip – Lavender.